This all happened a few years ago and since then BIRD has become a regular spot to party in the weekend. The place is relatively new and located underneath the old train station Hofplein in de ‘Mini Mall’. During the day BIRD is a restaurant with excellent pizzas (try the zucca e funghi), meat and fish. When the sun is down and the guests have finished their meals the party people slowly start coming in. You should visit the website to check out what kind of party and type of music you can expect. This can vary between jazz, live soul music, electronic and techno music. 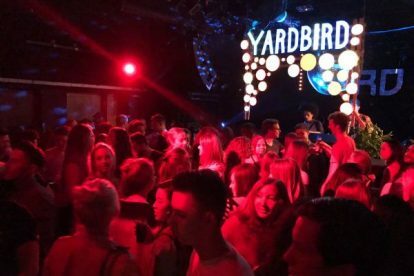 YardBIRD is one my favourite events though. I still remember my friends calling me the ‘Blitz‘ because I didn’t join them to party. Make sure you don’t become the ‘Blitz’ too and head over to BIRD. P.S. Be overly kind and patient with the lady behind the counter, she can be a hard one.